We can install a business class server to allow you more freedom in the workplace. Filter out spam email viruses and Trojans, as well as share printers and use them wirelessly. The Sky is the limit. We can even set up a camera system that can be viewed anywhere in the world from your laptop. See what's going on at the office. Are you in the Niagara Region and is having trouble with your laptop connecting wirelessly to the internet? 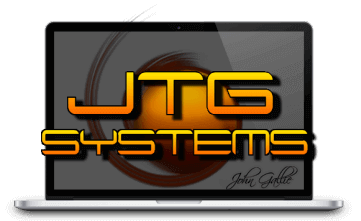 JTG Systems can help! We can help with all wireless and internet issues you may be having. We can get you connected to wireless routers of all makes and models. Unplug your ethernet cable and stay connected anywhere in your home or office! We can install a business class server to allow you more freedom in the workplace. Filter out spam email viruses and Trojans, as well as share printers and use them wirelessly. The Sky is the limit. We can even set up a camera system that can be viewed anywhere in the world from your laptop. See what's going on at the office. like we said the sky is the limit. We can add another PC to your current network, - wired or wireless. We have done networking for many offices in Niagara and St. Catharines areas. integrate a LAN party with your network to play multiplayer games against each other on your own private network. great for Colleges, universities, and offices. Check the configuration of your network including encryption settings and adjust as required. Ensuring your system is safe from hackers, we are a trusted networking company in Niagara. Don't let someone you don't trust touch your network, it is a critical part of any business and information falling into the wrong hands will have a long-lasting negative effect on your business and its good name. Control the office computer from home and do work in the office with never having to be there. We have done this for offices in St.Catharines and Niagara. Setup Wireless connectivity for Home or office. Even set up a pay system- where you charge for internet use of others.